We had a big ant infestation in our house we tried couple of pest control companies but our problem never get solved and then we tried Exopest and we are so happy with their services .They have very professional approach and would really recommend to those people who want a peace of mind. I am Super happy with Exopest Ant control and Pest Control Services. 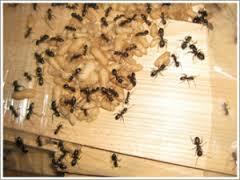 Exopest is a Government Licensed, Certified, Bonded & Insured Ant Control Pest Control Services Company. At Exopest we have best programs for Ant Infestation like, Fire Ants Control, Carpenter Ants Control, Pharaoh Ant Control, and Pavement ants control. For more information on certified pest control and prevention and to see the complete list of Pest Control Services we offer please visit our Pest Control Services. We Offer best ant control services in Burnaby, Vancouver, Richmond, Delta, Surrey, Coquitlam, Port Coquitlam, Langley, Abbotsford, Chilliwack, White Rock, Fort Langley, Port Moody, Pitt Meadows, Maple Ridge, Anmore, Belcarra and North Vancouver. Click here to see the areas we cover for professional pest control services and products.